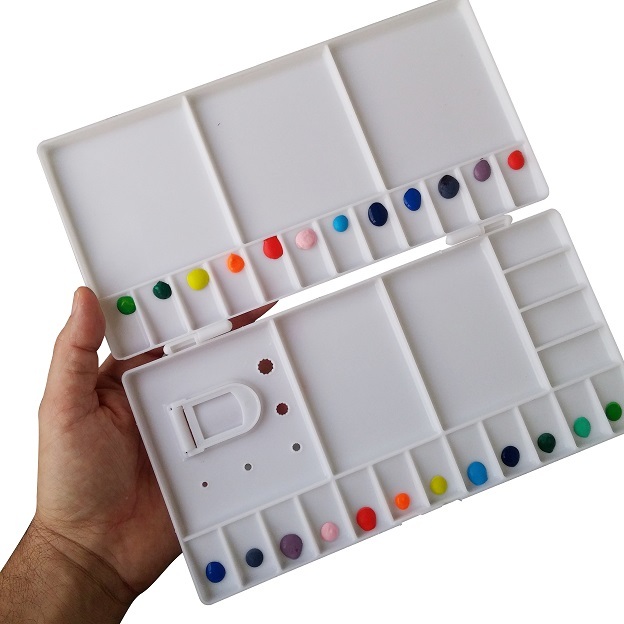 33 Wells – 28 wells for colors + 5 large mixing areas. Folding lid box cover for travel and clean studio. Opens 180º flat on table. 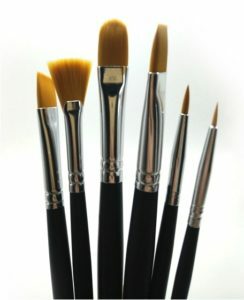 For studio & plein air painting. Highly rated by professional painters and award winners. 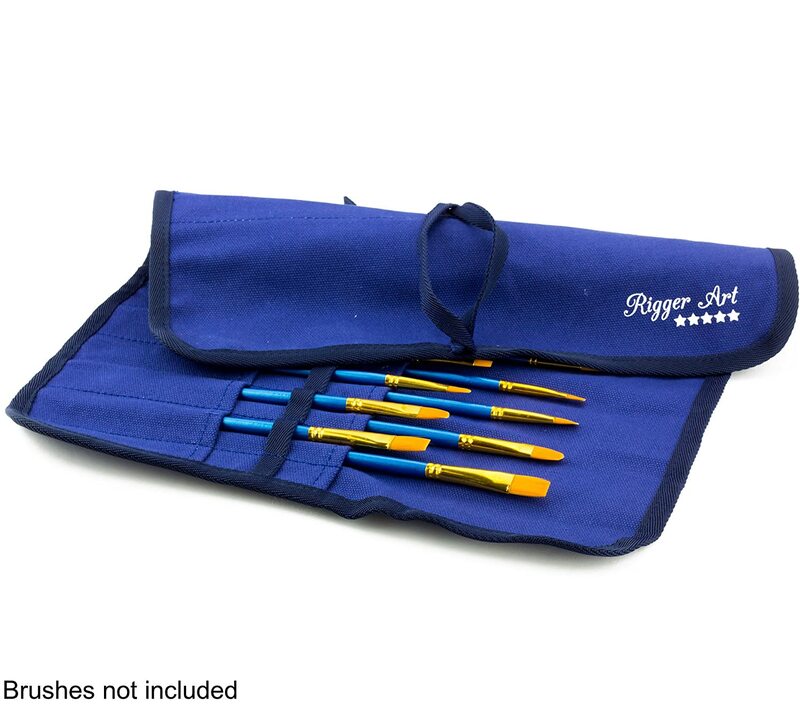 22 slots to carry long / short handle brushes and art supplies. 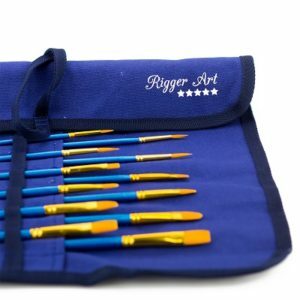 Order Brushes Roll Up Case Here. 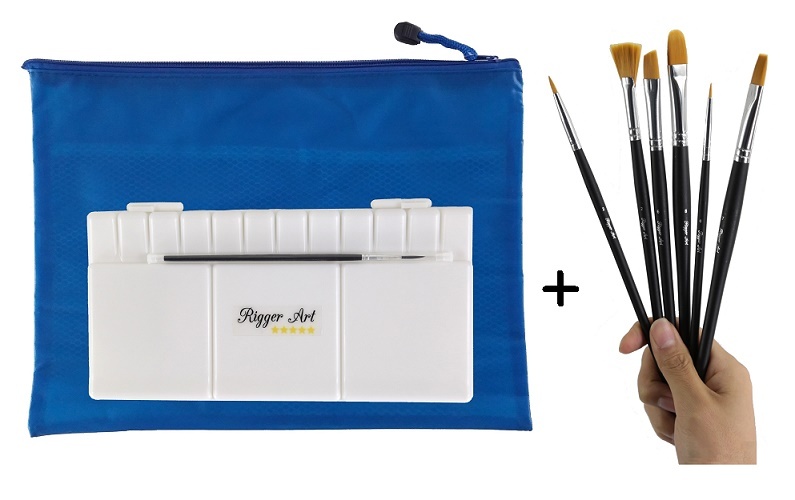 Everything a painter needs to paint on the go!